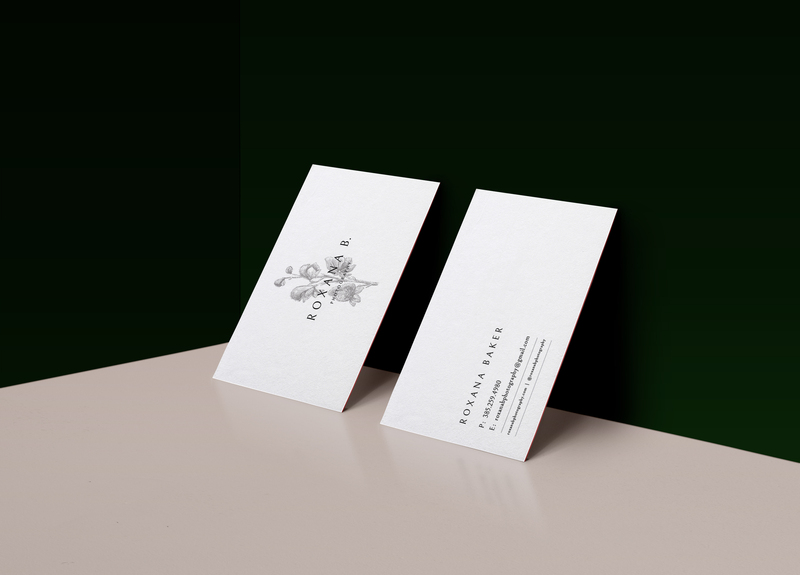 Annie Hall designed these business cards for Roxana B.  Photo, a Utah based photographer that specializes in adventurous lifestyle and wedding photography. 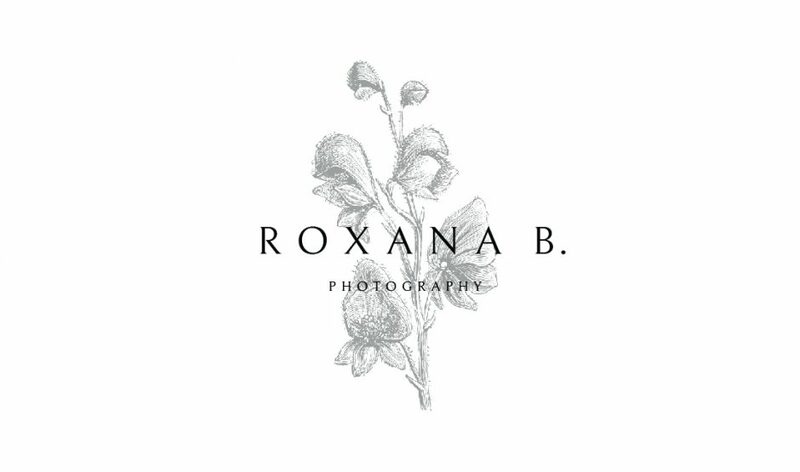 “For Roxana’s rebranding project, she wanted something that reflected her minimalist style, paired with simplicity while incorporating botanical pieces throughout her identity,” Annie said. 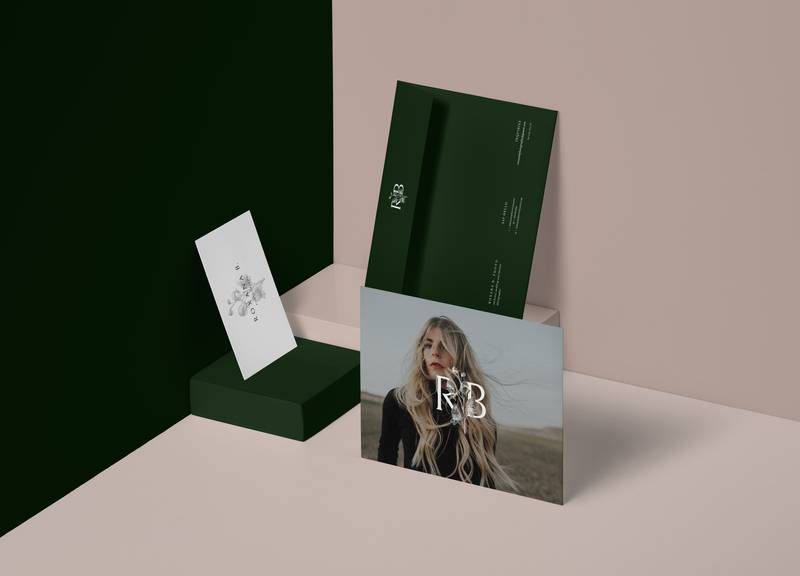 This beautiful design reminds us to go back to basics, where monochromatic design can be just as expressive and elegant, especially when it was enhanced by a well-drawn illustration. 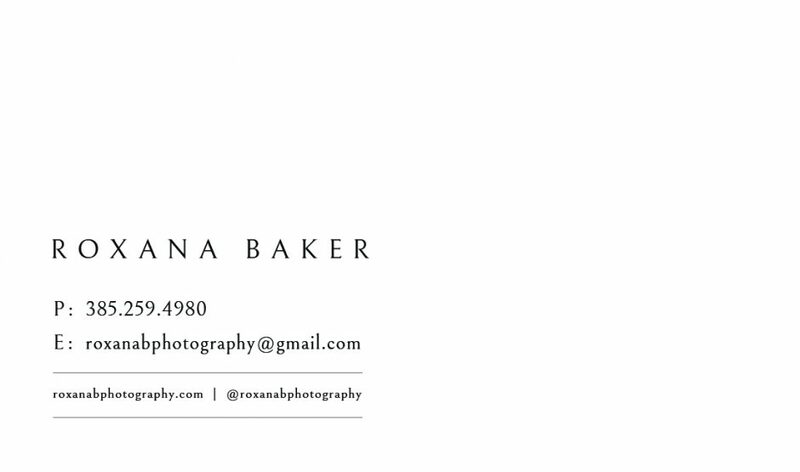 Annie kept things simple and clean on the front side of the business card with the photographer’s contact information on the lower left corner, leaving a lot of negative space.